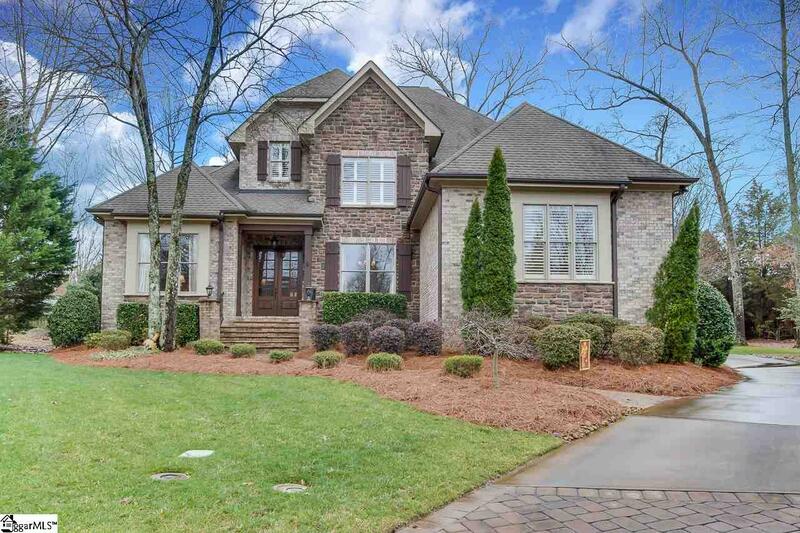 Beautiful 4 bedroom/4.5 bathroom custom built home by Milestone, one of Greenvilles finest builders, in sought after, gated Kingsbridge near Five Forks. Offering tons of custom finish details! 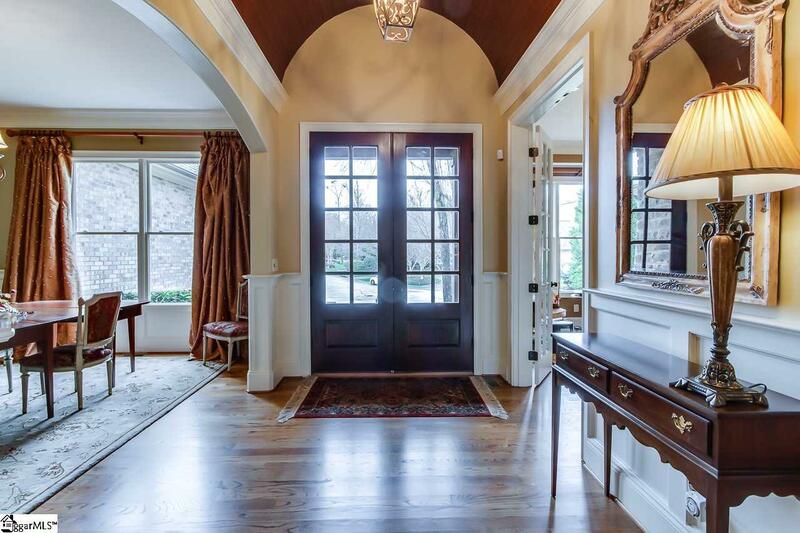 Gorgeous tongue and groove barrel ceiling in foyer. 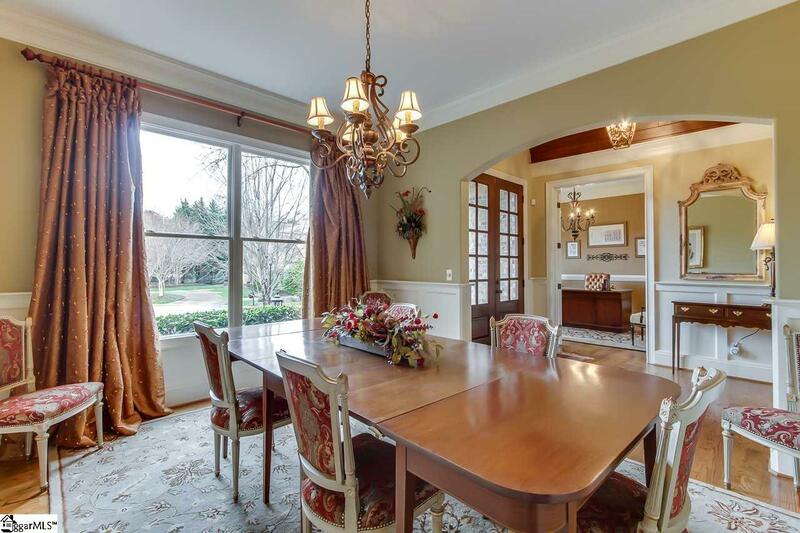 Elegant dining room with wainscoting panels, Study with french doors, gorgeous living room with 12 foot coffered ceiling and double sided gas fireplace overlooking a relaxing screened porch with same double sided fireplace. Gleaming harwoods through main areas. Gourmet kitchen with gas cooktop and stacked stone hood, DOUBLE OVENS, S/S appliances, breakfast island, granite counters and a wonderful walk-in pantry. The kitchen seamlessly ties into the breakfast room and keeping room with cathedral ceiling, rich wood beams and stacked stone fireplace. 1st floor master suite boasts a trey ceiling, BRAND NEW CARPET, tiled ensuite with dual granite vanities, jetted soaking tub with distinctive tongue & groove barrel ceiling, separate steam shower and huge custom walk-in closet with natural light. TWO LAUNDRY ROOMS! One is a substantial 1st floor laundry with sink and built-in workspace, the other is walk-in style on the 2nd floor. Also upstairs is a massive bonus room and 3 bedrooms each with a full bath and granite counters. There's loads of walk-in FINISHED STORAGE space as well as unfinished storage space. CENTRAL VAC! Large + acre private lot in a quiet cul-de-sac with mature trees, full irrigation system, stone paver patio, 3 car garage with extra parking pad and in-ground pet fence system. Energy Star certified. Fabulous Amenities! Community pool, clubhouse, fitness room and tennis courts. 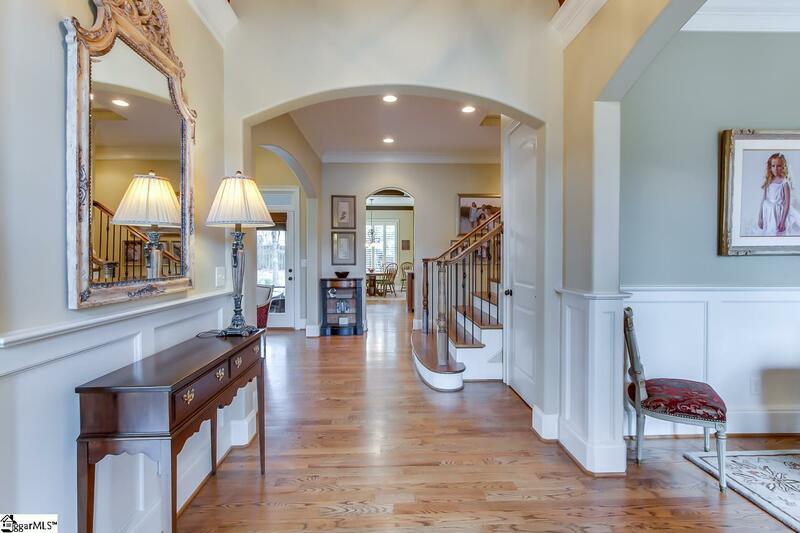 Zoned for highly desirable schools, convenient to great shopping, Woodruff Rd, Hwy 14, Roper Mountain, I-85 & I-385 and GSP International Airport.